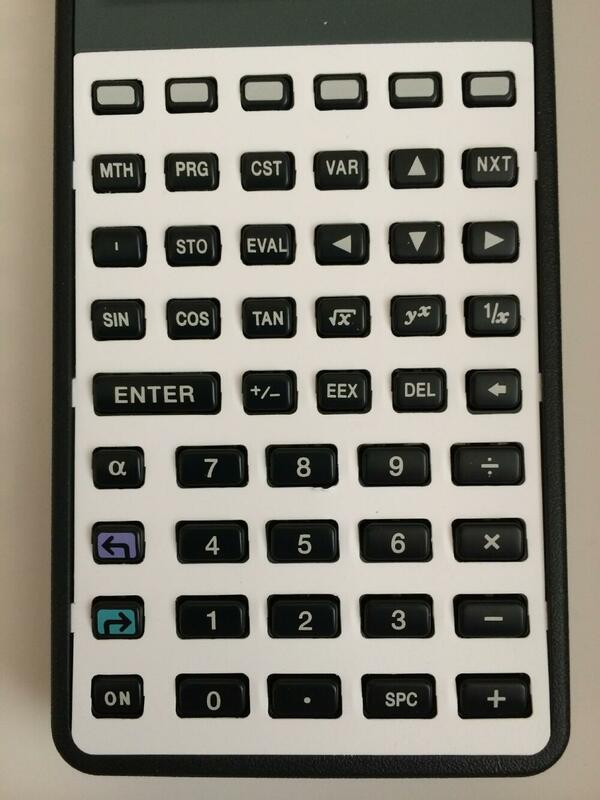 White overlays for HP 48 (48S, 48SX, 48G, 48GX) calculators. You can use a pencil or pen to write on them. This is of use if you write your own programs for the HP 48 and assign them to various keys. This is a reproduction of HP catalog number HP 82220A.